Yesterday's post was already getting a bit long and adding these would have been a a bit 'off topic'. So the pretty things which distracted me from my Luttorloh plans get a post all of their own. 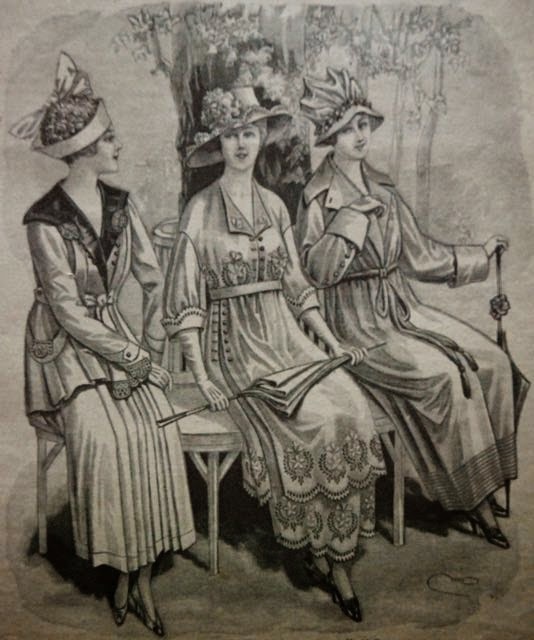 The blouse I am working on is from a pattern from March 1922 but the shape was already popular in 1918. How I know that? 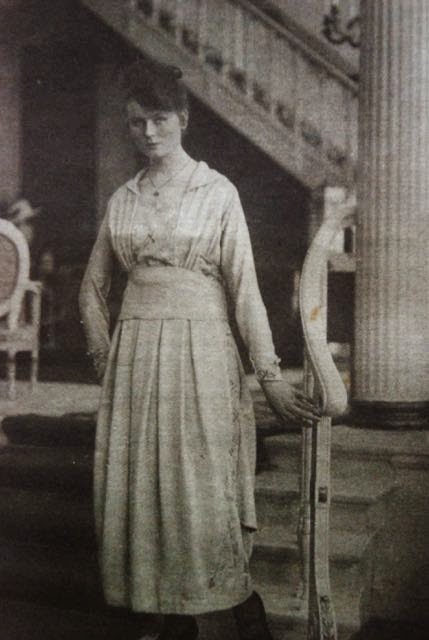 Not just because it is the exact same shape as the one worn by lady Mary (from Downton Abbey) in the picture in yesterday's post. I've got real, period proof. 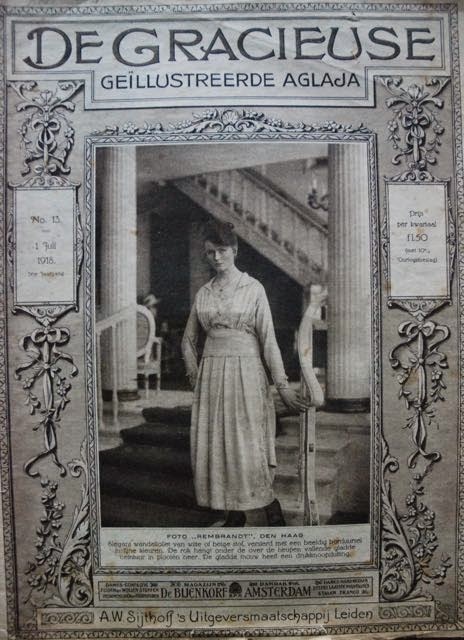 This is the cover of Gracieuse magazine of July 1918. Doesn't this dress look like something Lavinia Swire would wear? (sorry, Downton geeky-ness is showing badly). 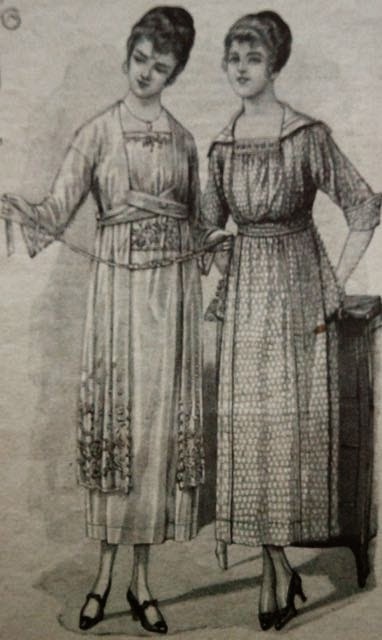 More importantly: Look at the bodice. It's the exact same shape as the one I'm making. The only difference is in the waistline. Which I won't use in my blouse anyway. 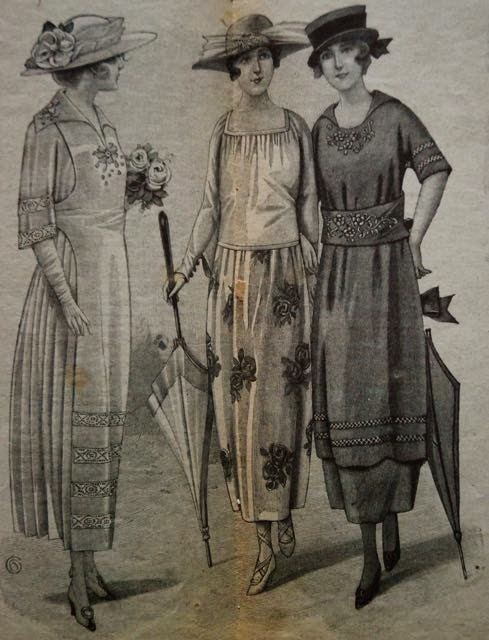 In fact, I think I've found a whole new appreciation for the fashion of the late 1910's and early 1920's. All these images come from the same magazine. 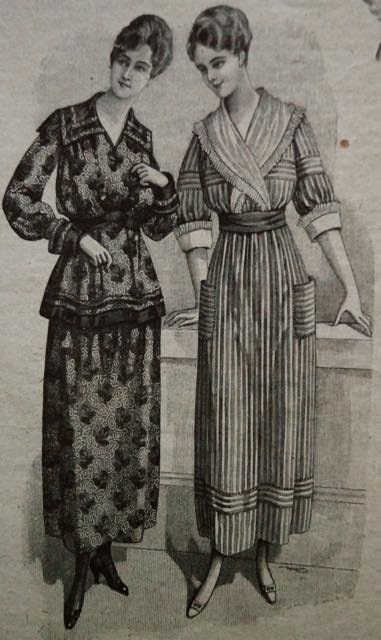 In some ways, the natural height waistlines makes these seem more wearable than many 1920's fashions.